Job wanted an umpire (NAS, “mediator”-NIV, “arbiter”-ESV) to stand between him and God. He wanted a lawyer. He was convinced that God was falsely accusing him of doing wrong or God had him confused with another person. He wanted a lawyer so he could plead his case before God and correct God’s misunderstanding and wrongful action against him. In his eventual conversation with God, Job came to realize he was in no position to judge the actions of God and God’s reasons for them. He also came to understand that his trust in God was not as strong as he thought nor as strong as it needed to be. But not like Job was asking for. He wanted an advocate to plead his case before God and declare Job’s innocence. But Job didn’t have a case before God and neither do we. We are all guilty. None of us are righteous in His sight, no, not one. 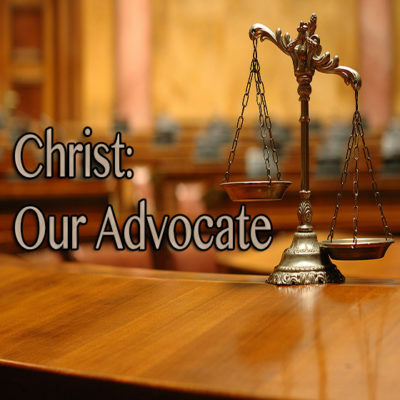 Our advocate stands in the presence of God as the one who has paid our penalty for us. Thank God for our Advocate.